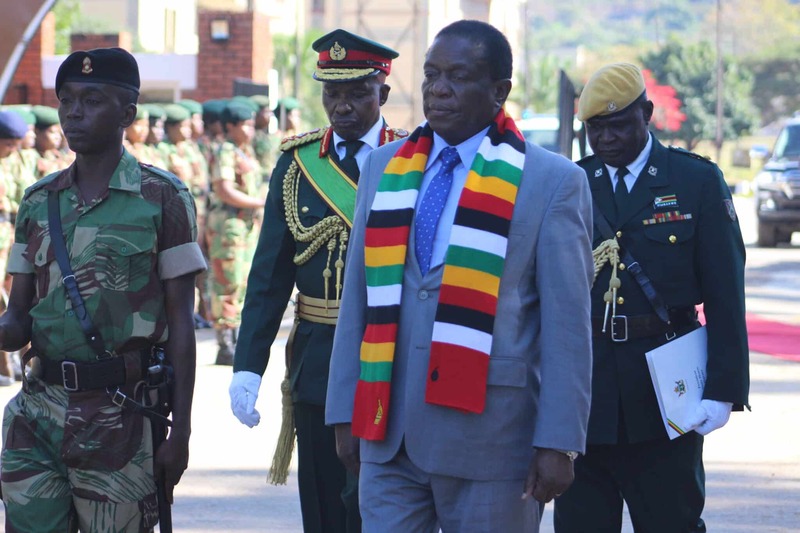 Churches under the Federation of Indigenous Churches of Zimbabwe (FICZ) have congratulated President Emmerson Mnangagwa for emerging the winner in the just ended harmonised elections saying the people have spoken and the will of God has been shown. Addressing the press on behalf of all churches yesterday, FICZ representative, Bishop Gift Marufu said the election was held in a free and fair atmosphere where everyone was allowed to participate without hindrance. “We would like to take this opportunity congratulate The President Elect, His Excellency Cde Emmerson Dambudzo Mnangangwa for being elected as our new President of Zimbabwe. “The people of Zimbabwe have spoken and the will of God has been shown. Secondly we would like to congratulate the National Assembly members and Councillors elected. “We also want to take this opportunity to congratulate the Chiefs Council for re-electing Chief Fortune Charumbira as their President. “We thank the new government for opening up to the international community where the recent elections were held in an open , free and fair atmosphere where everyone was allowed to participate without hindrance,” he said. Marufu also urged the international community to work together with Zimbabwe saying they are are also going to lobby and advocate for removal of harmful sanctions affecting the nation. “We also want to take this opportunity to also speak to the International Community that, we should be united. We have to work together for the betterment of our people. “Let us do away with sanctions, let us speak with one voice against sanctions. We are brothers and sisters, we can work together to improve our lives and live harmoniously in the eyes of God without accusing each and calling for unwarranted sanctions which has a ripple effect on our lives as Zimbabweans. “We call upon all Political parties involving foreigners in our internal matters which we believe we can resolve internally. We are also going to lobby our International Community to embrace Zimbabwe and advocate for removal of these harmful sanctions,” he said. President Mnangagwa polled 50,8 percent against Mr Chamisa’s 44,3 percent in the just ended harmonized elections, an outcome that has been challenged by the MDC Alliance at the Constitutional Court.